As always, we would like to start by thanking everyone for your continued support! It’s time for us to announce our new great items which we will release on November 26, 2018! 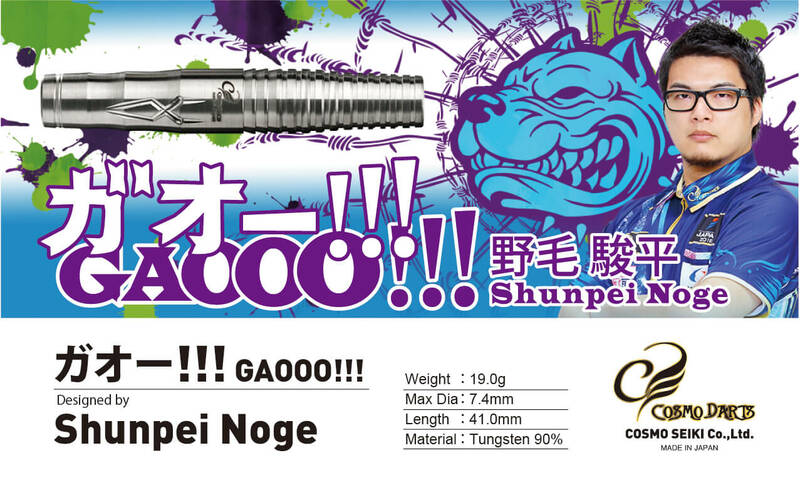 A long-awaited new signature darts of Shunpei Noge who is one of the Japanese top players! Well thought-out outline of the dart and the right weight 19.0g will produce a great synergistic effect on your throwing. 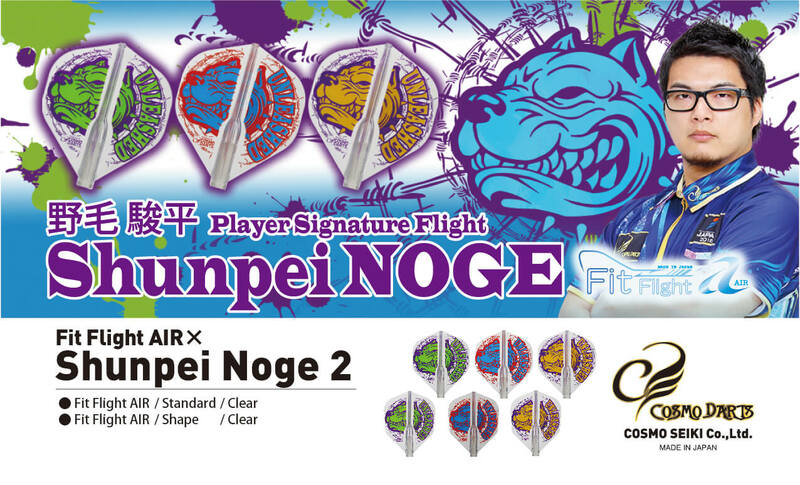 Second collaboration flights with Shunpei Noge. A high-impact and colorful pit bull design will raise your fighting spirit! Fit Flight AIR Standard and Fit Flight AIR Shape are available. 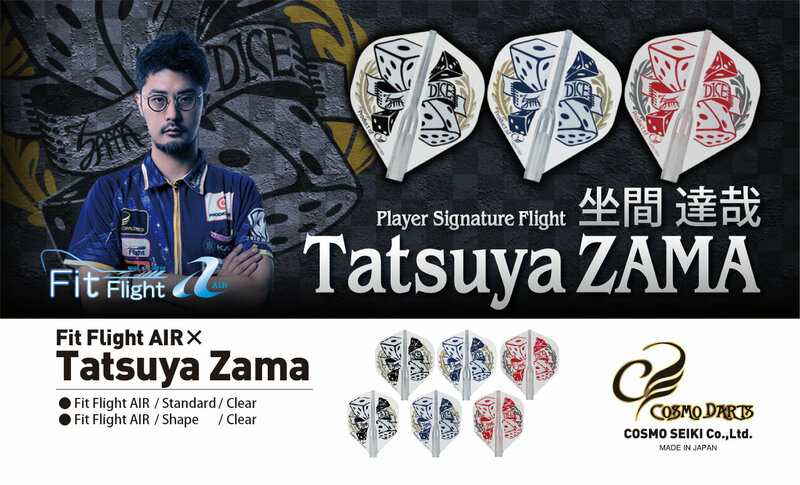 The first collaboration flights with Tatsuya Zama who is playing actively on PERFECT tour in Japan. Dice is not only a motif of his flight design, but also the name of his signature darts. These will be available in Fit Flight AIR Standard and Shape. 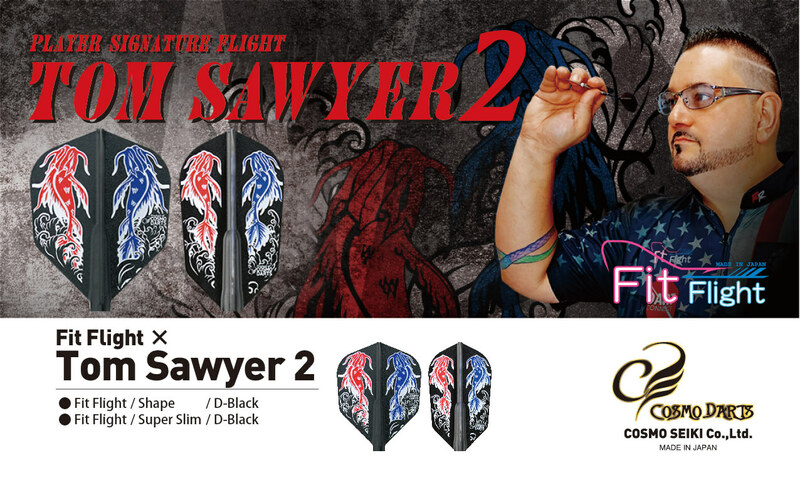 Second collaboration flights with Tom Sawyer. 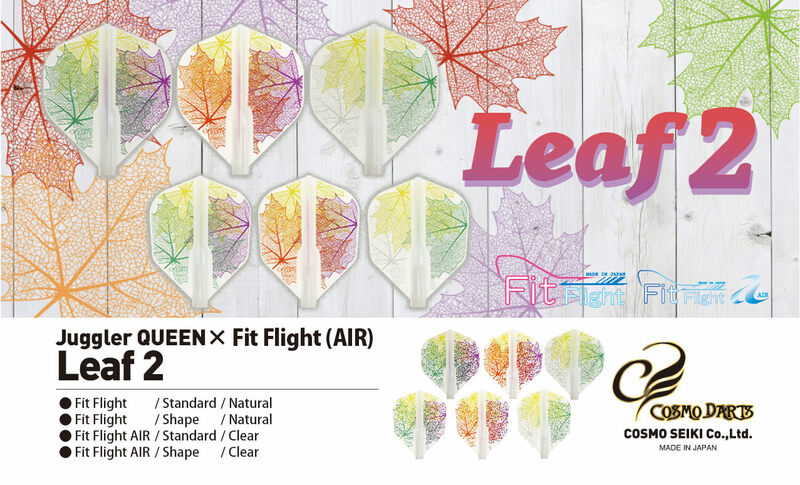 Fit Flight Shape and Super Slim are available. Popular and beautiful Leaf design is back! Standard and Shape in both Fit Flight and Fit Flight AIR are available. These flights are limited in quantity. Please don’t miss a chance to get them! These items will be available for purchase on November 26th, 2018.